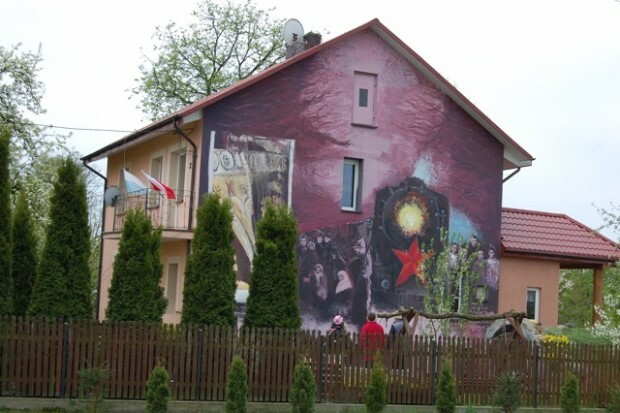 The mural commemorates the removal of Wizna families between 1940-1941. Amongst those forcibly deported by the Soviet occupier was 3-year-old Marianna Dobrońska. The girl is immortalised on the wall of a house near the cemetery, where the ‘Road to Paradise …’ began and where the family home of little Marianna once stood. The phrase was coined by Aleksander Gawrychowski, one of many residents of Wizna deported to Kazakhstan.